What makes the perfect holiday destination? NCL reckon they know the answer – and they’ve just built it in the Caribbean. So the Caribbean is a place of tradition? Where the rustic, ramshackle towns have stood for several hundred years and where the islands only change at the whim of the weather? Wrong. Harvest Caye is a product of the 21st century, a paradise isle that man has raised from a patch of mud off the coast of Central America. I’m on Norwegian Getaway, a very modern giant of the seas, and we’re docked at what is a bustling American resort beach that also happens to be an island. Just a little one, mind: there are no towns or villages here, and the only wildlife is behind bars. As are a lot of the punters, drinking at the LandShark (part of singer Jimmy Buffet’s Margaritaville empire) or the swim-up (wallow-up) bar in the palm-fringed pool outside. 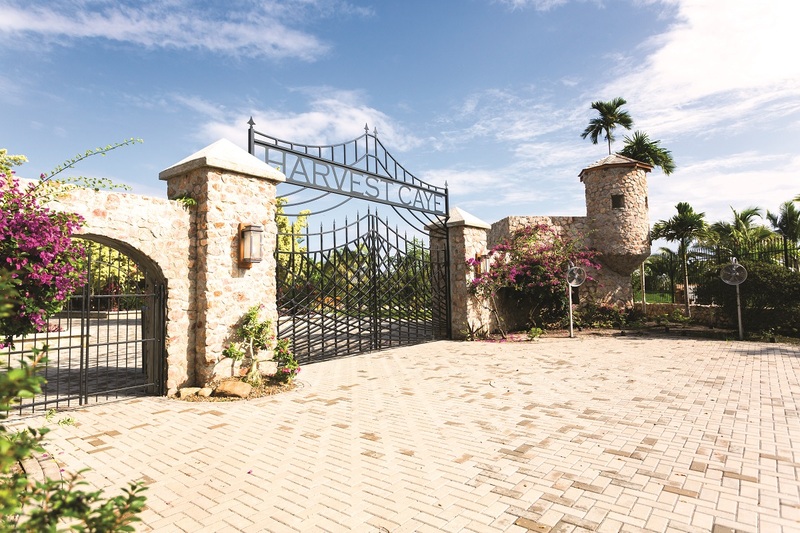 The creation of Norwegian Cruise Line, Harvest Caye opened its gates at the end of last year. Taking 4,000-plus holidaymakers at a time, it’s a day-long stopover on Western Caribbean cruises – which in our case means a week’s round trip from Miami, taking in Roatan in Honduras and Costa Maya and Cozumel in Mexico. A 15,000sq ft pool dominates the man-made landscape. 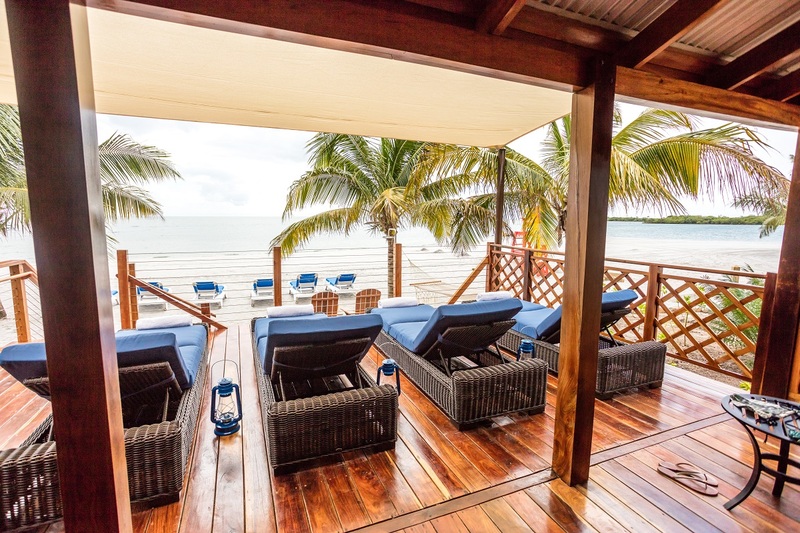 Harvest Caye is, notionally, part of Belize, a Central American nation dotted with Mayan ruins. But despite being only a mile off the mainland, with its dense jungle and distant peaks, this is an international playground. Norwegian Getaway towers over the mangroves at the tip of the island but, despite being moored at the jetty (no need for tenders here), she is all but abandoned as passengers forego their free lunch on board for the pleasure of pay-as-you-go burgers. If you want a jolly holiday rather than a cruise that visits a series of historic spots with cathedrals and the like, this is it. The sun loungers lie many deep around the curve of the fine, pale, man-made beach, and it’s as busy as a theme park. But – again like a theme park – there’s plenty going on. The lagoon where you can rent pedalos and stand-up paddleboards meanders past the Flighthouse, a 130ft mock lighthouse that stands at the heart of a zipwire circuit. Here I get kitted out and enjoy whizzing above the lagoon with views across the mainland. But it’s the final, longest run that gets the palms sweaty. This is taken horizontally, Superman-style, with straps from the back. As the team ease me, face down, over the sheer drop I’m regretting my decision, until I soar away and fly across beach and bay into the trees. As pop music echoes across the island I wander around the shops: there’s jade jewellery, chocolate from free-trade organic Moho, T-shirts and duty-free. Nearby there are children splashing in the play area, parents lining up for the walk-through butterfly house, and toucans and macaws in their little aviaries. 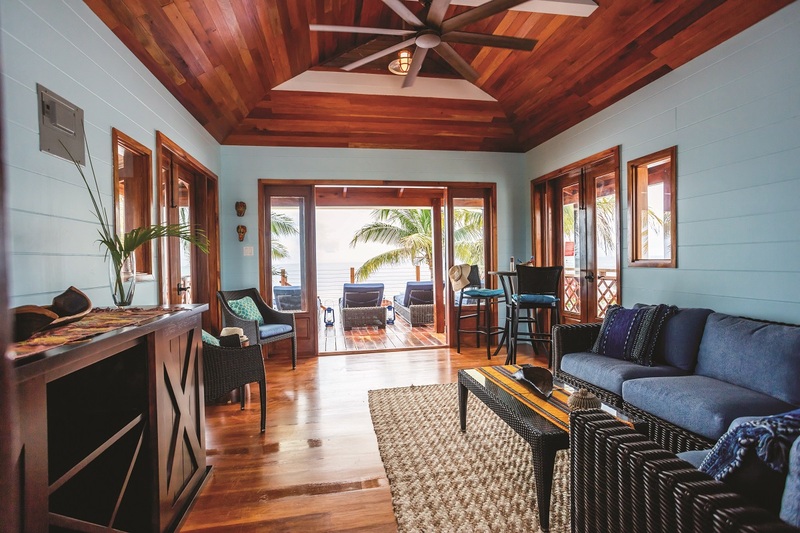 A stroll along the beach brings you to a private area of 11 wooden villas. If the free sun-loungers don’t do it for you, nor the for-hire cabanas, here you’ve got a retreat for six, price $499. There are no beds but you won’t be staying overnight (although your butler will take care of lunch). Like any theme park, this place closes its gates at the end of the day, so it can be ready for a new influx tomorrow. But back aboard Norwegian Getaway, there’s plenty more sun and fun to come on her seven-night itinerary. Coxen Hole on the island of Roatan has a more traditional Caribbean feel (though it’s still purpose-built), the ship looming over a colourful cluster of shops and restaurants. A band plays and passengers amble about, buying uncut diamonds (a bargain, so I’m told). There are tours that visit beaches on the far side of the island and stop at viewpoints in the hills, but I find it’s nicer simply to wander along the coast road and stop at one or two of the tiny coves, swimming in the warm waters with views back to the ship. Costa Maya, on Mexico’s Yucatan Peninsula, is just as unreal. Walking down the long pier from the ship into a “village” of shops, restaurants, pools and bars, I was reminded of the Mexican pavilion at the Epcot Center in Disney World. For a couple of dollars, a taxi will take you to the beach town of Mahahual a mile or so away. Instead, I wander through quiet, tree-lined lanes and find it myself (the beach walk seems walled off, presumably to stop anyone enjoying themselves for free). Mahahual is as close as you’ll get on this trip to the real world. Pelicans sit on crumbling breakwaters as I swim in the gorgeous water and laze on the sand; shack bars serve me beer and tacos for a couple of dollars apiece, and a lengthy massage under a softly billowing shade costs me $20. Other passengers are doing the Mayan ruins but I think I’ve found the true spirit of Mexico right here, and it’s not tequila. It’s a hazy, sunny vibe that’s cleverly recreated on Norwegian Getaway. At the sun deck bar there are nightly parties for those who like loud music and dancing. Then there’s The Waterfront, a walkway that circles the ship with various spots for al fresco diners, and the Sugarcane mojito bar for cocktail lovers. 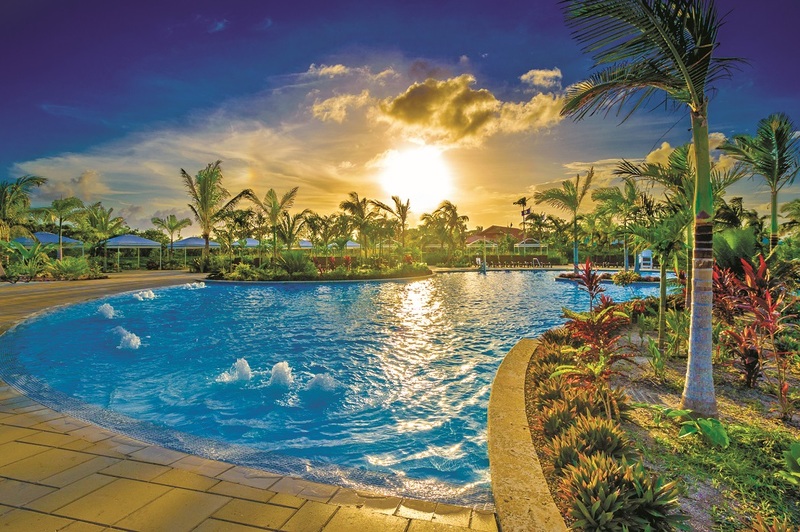 There are all manner of other attractions, from the high ropes course to waterslides and mini-golf, and the evening entertainment is top-notch too. The Million Dollar Quartet is a rock ’n’ roll musical about the night when Johnny Cash, Elvis Presley, Carl Perkins and Jerry Lee Lewis all shared a recording studio. It’s a good choice because our cruise is a big slice of the American dream itself, sailing into the sun from high-rise, palm-fringed Miami. Our final call is the Mexican island of Cozumel, and this time I do the Mayan thing, taking a fascinating trip to the 3,000-year-old walled city of Tulum. The country’s most visited archaeological site, it has Mexico’s only coastal pyramids – two of them, set in vast, lush grounds on a 40ft cliff with steps down to a small, idyllic beach. It’s the perfect mix – pale sands, warm waters, and an awe-inspiring monument to ancient man’s ingenuity. Will Harvest Caye still be pulling in the punters in 3,000 years? Probably not. But, like the rest of this cruise, it’s a lot of fun while it lasts. A seven-night Western Caribbean cruise from Norwegian Cruise Line (0333 241 2319/ncl.co.uk) starts at £1,643 (two sharing), including ﬂights. Departs Miami regularly, October to April.